How many of you take great care of your skin, spend a bucket load of money and time on potions and lotions in the never ending search for the perfect complexion? 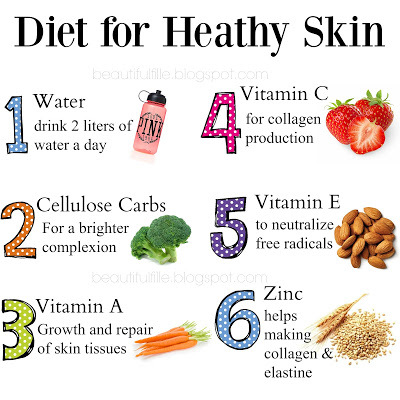 Well, while it is great to keep your skin hydrated on the outside, its whats inside that really counts. After all you are what you eat.. So you might be sitting there and thinking, ‘I already have great diet, don’t eat processed foods and drink plenty of water, what more can I do’? In two words, ‘Gut Health’. 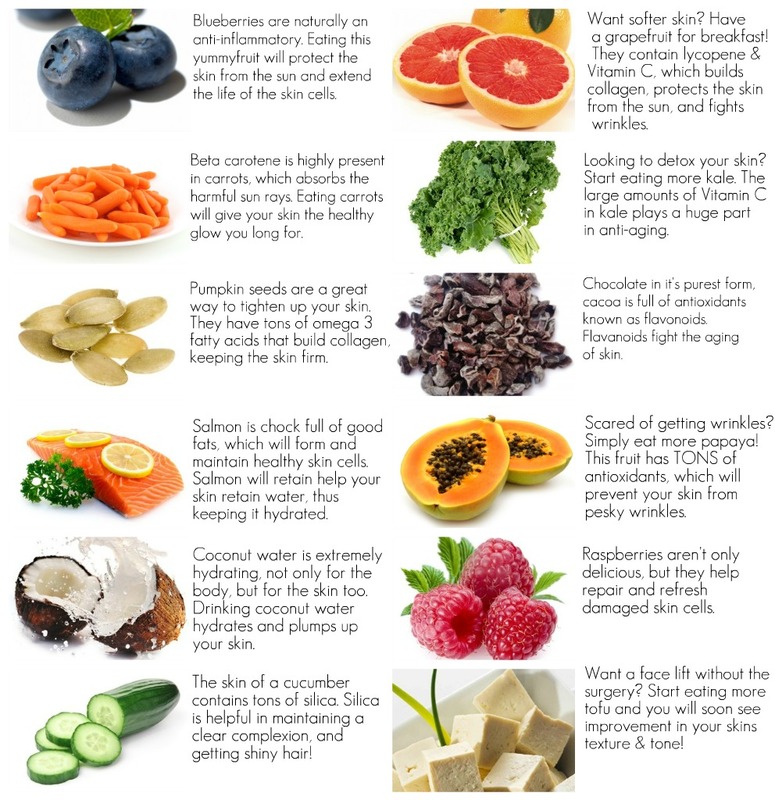 Yes, you do need to eat lots of fresh fruits and veggies high in antioxidants to fight the free radicals which cause premature aging due to cellular damage. However, if your gut isn’t doing its job properly, all of those lovely berries, fruit, nuts, avo’s and leafy greens won’t be helping as much as they could be. Do you get what i’m putting down? Many things contribute to bad gut health or ‘leaky gut’. What can cause leaky gut? In short, some of the things that destroy our gut flora are: poor diet, medications (antibiotics, NSAIDs, steroids, antacids, etc. ), infections, stress, hormone imbalances, and neurological conditions (brain trauma, stroke and neurodegeneration). We also know that infants that aren’t breast-fed and are born to mothers with bad gut flora are more likely to develop unhealthy gut bacteria, and that these early differences in gut flora may predict overweight, diabetes, eczema/psoriasis, depression and other health problems in the future. 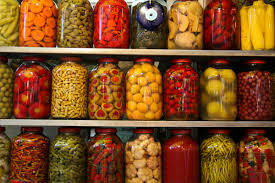 The way that I and others like to deal with this and restore our gut flora is to consume fermented foods, activate our nuts and grains before we eat them (more on that below) and eat a good fresh probiotic like coconut kefir. You can also make this yourself (recipe below) or purchase it at your local health food shop. Kombucha is also a fantastic live probiotic. I now think of it as my beer substitute! 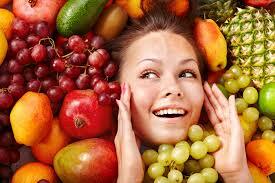 Of course avoiding processed foods, sugar and processed wheat is also highly recommended. Sugar causes your cells to age at an alarming rate. Liver heath is also very crucial to the health of all your organs (your skin being the largest one) so obviously alcohol consumption will effect your skin quite dramatically. Taking a good supplement to support your liver health is a great idea if you regularly drink alcohol. Most nuts you would add 1 tsp of Himalayan salt per cup of nuts and soak over night. Cashew only take about 4 or so hours so add them towards the end of your soaking time if you are soaking a variety of nuts like I do. 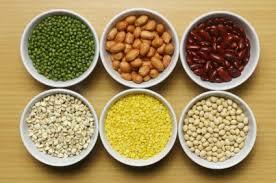 If you are drying them separately, they can also be dried at a hotter temperature about 90C. 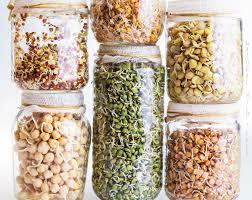 This is a very basic guide to activating and sprouting grains. 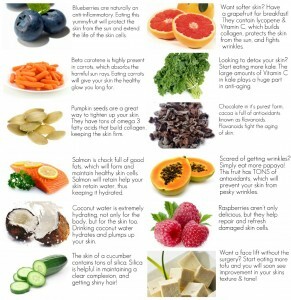 For a more thorough guide visit this page The Nourishing Home. The general rule is to add enough warm water to cover the grain, legumes or rice, and then add a small amount of an acid medium to every one cup of grain, legumes or rice. You can choose a dairy-based acid medium (such as whey), or a dairy-free option (such as lemon juice or apple cider vinegar). Then tightly cover and soak overnight (or up to 24-hours, beans take longer) Rinse then cook as usual. There are three options for making coconut milk kefir. The first two contain minimal dairy. The third option is completely dairy-free. I use it instead of yogurt, sour cream and cream in smoothies, pasta etc. Culture at room temperature, 20-30C. In winter you can leave it in the oven with just the light on. This option is not completely dairy-free, but contains very little dairy and is much simpler than using milk kefir grains. Use a Kefir Starter Culture in coconut milk. 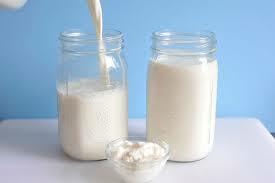 Simply follow the instructions for making kefir included with the kefir starter culture. I generally use this method and get my starter culture from Go vita. Cover loosely and culture for 24 hours. In winter you can leave in the oven with just the light on. It may seem over whelming to make so many changes to your diet if you eat like the average person, but trust me, your body (and your skin!) will be very happy and it will be the best you have felt and looked in years!